A porous form of PTFE (polytetrafluoroethylene), Zitex G exhibits the same chemical inertness, thermal stability and non-wetting characteristics of this outstanding fluoropolymer. Zitex G structures are able to handle virtually any corrosive fluid at temperatures as high as 500oF (260oC) and as low as the cryogenic range of -450oF (-268oC). 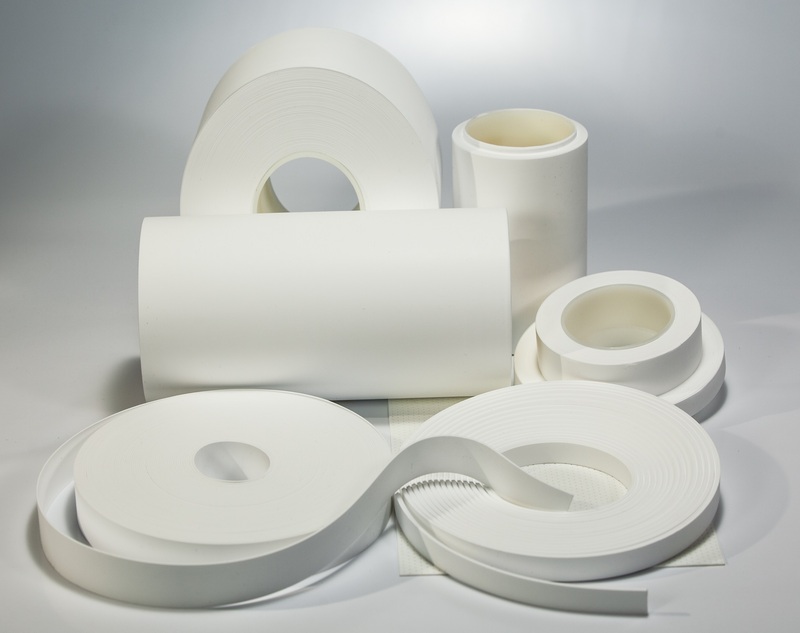 With pore sizes in the approximate range of 1 – 6 microns, thicknesses from 0.004 – 0.015 inch (0.10 – 0.38mm), and widths up to 10 inch (254mm), Zitex G can be used as a self-supporting membrane in a wide variety of particle filtration applications in aggressive environments. Inherently hydrophobic, Zitex G prevents passage of liquid solutions (below initiation pressure) while allowing free passage of gases. This characteristic makes Zitex G an ideal venting material for liquid packaging. Zitex G can be laminated to plastic closures and other substrates for such applications as cap liners. Due to its hydrophobicity, chemical resistance, and gas permeability, Zitex G is used by electrochemical gas sensor manufacturers as a diffusion membrane. Zitex G can also be manufactured to custom dimensions and profiles up to 0.25” (6.3mm) thick and 6” (152mm) wide having controlled density and mechanical properties to meet industry requirements for use in aircraft engine seal applications. Surface treatment is also available to facilitate enhanced adhesive bonding to substrates. From aerospace to automotive, laboratory to medical, packaging to pharmaceutical, electrical to engineering, you can put CHEMFILM Zitex G membranes to work for you. Chemical inertness Resists attack by virtually all acids, alkalies and solvents. Thermal stability Can be used at temperatures as high as 500F (260C) and as low as -450F (-268C). Hydrophobicity Allows passage of gasses while preventing liquid. High wet strength Strength when wet is equal to that when dry. Non-contaminating Will not introduce foreign substances. Non-stick property Superior filter cake release properties. Self-gasketing When clamped between solid flanges, Zitex G compacts to form its own gasket. Mechanical strength Strong and tough, Zitex G can typically be used without the need for non-PTFE polymeric backings than can compromise performance. Porosity Available in grades having approx pore size in the 1 – 6 micron range, Zitex G is an effective particle filtration medium. Air Flow, 100cc/1.0 in2/20 oz. Put-Ups Standard width up to 10 inches, standard length 100 ft., 3 inch I.D. cores. Zitex G is used in many industries due to its unique performance characteristics.